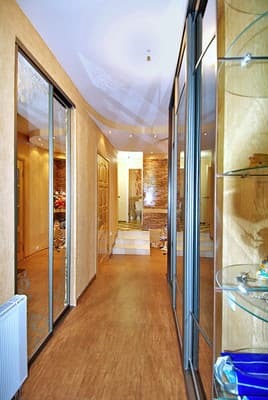 The apartments are located in the center of Yalta in a quiet area, in the park area of ​​the sanatorium. Kirov, next to the Pushkin market. Through the underground passage, the Palm Pushkin Alley begins. Nearby are the cinema "Spartak", hotel "Oreanda" (the beginning of Yalta quay, near the city beach). At the cinema "Spartacus" there is a bus stop. To the sea - 10 minutes walk. 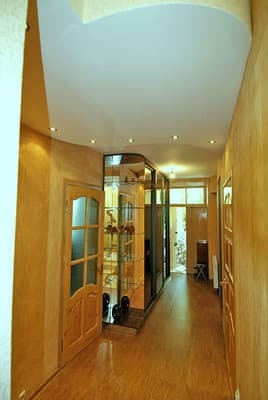 Three-room apartments with separate entrance are located in a private two-storey house on the 1st floor. Your yard, BBQ, there is a parking place. The apartments are equipped with everything necessary for comfortable living: independent heating, furniture, double beds, folding sofas, washing machine, separate bathroom, fully equipped kitchen. Guests can enjoy free Wi-Fi access. The apartment can accommodate 10 people. Distance to the bus station in Yalta - 2.9 km, to Simferopol - 82.2 km. PRICES MAY CHANGE, IT IS REQUIRED TO RECEIVE INFORMATION FROM THE OPERATOR. 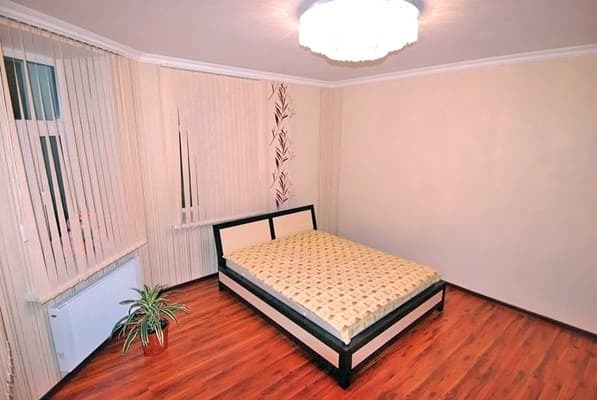 Description of the room: Double beds, folding sofas, washing machine, cold / hot. water clock, cable TV, Internet WI-FI. Equipped kitchen (refrigerator, gas stove, extractor, kettle, table). 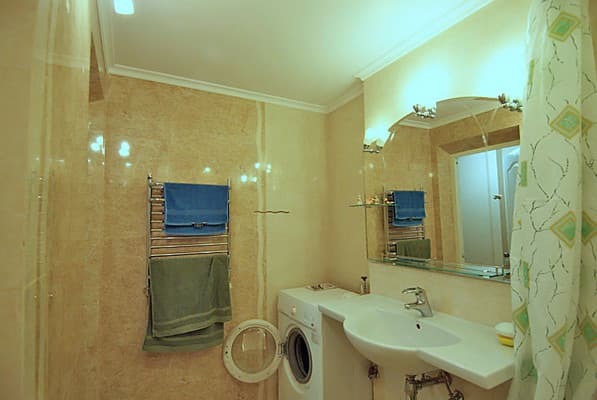 Separate bathroom. The apartment can accommodate a maximum of 10 people. The apartments are located in the center of the city in a quiet and peaceful area, in the park zone of the sanatorium. Kirov, next to the Pushkin market. Through the underground passage begins the famous palm Pushkin Alley. Nearby are the cinema "Spartak", hotel "Oreanda" (the beginning of Yalta quay, near the city beach). At the cinema "Spartacus" there is a bus stop. To the sea - 7-10 minutes walk. Distance to the bus station in Yalta - 2.9 km, to Simferopol - 82.2 km. From the bus station of Yalta by shuttle bus №20, №10 to the stop "Spartacus", continue along the street Marshak and go to the street Kirov. By taxi to the entrance of the sanatorium. Kirov.